The morning is always overcast. On better days, the sun will eventually peek out behind the clouds, other days will remain cold and gloomy. That is what you get living on the coast right next to the Pacific Ocean. It seems to me that the weather is transitioning from summer to fall and I am all for it! I love nothing more than to layer up in cozy knits and patterned tights! 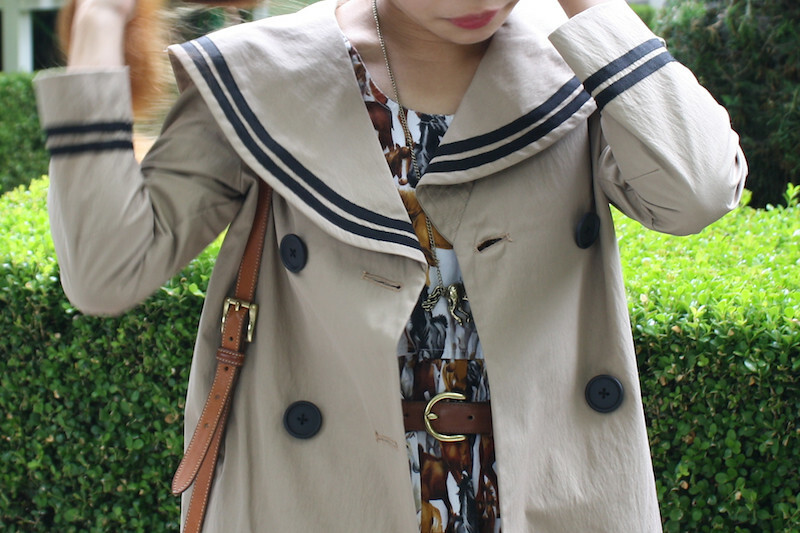 Sailor trench coat by Bensoni from Gilt Groupe. 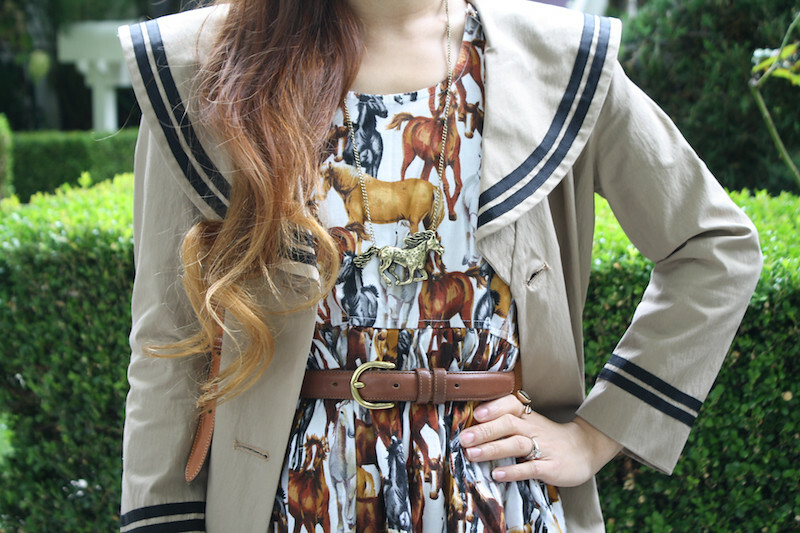 Vintage horse print dress from ebay. Vintage Dooney & Bourke purse from etsy.Horse necklace from it's not her, it's me. dream dress! everything is spot on.